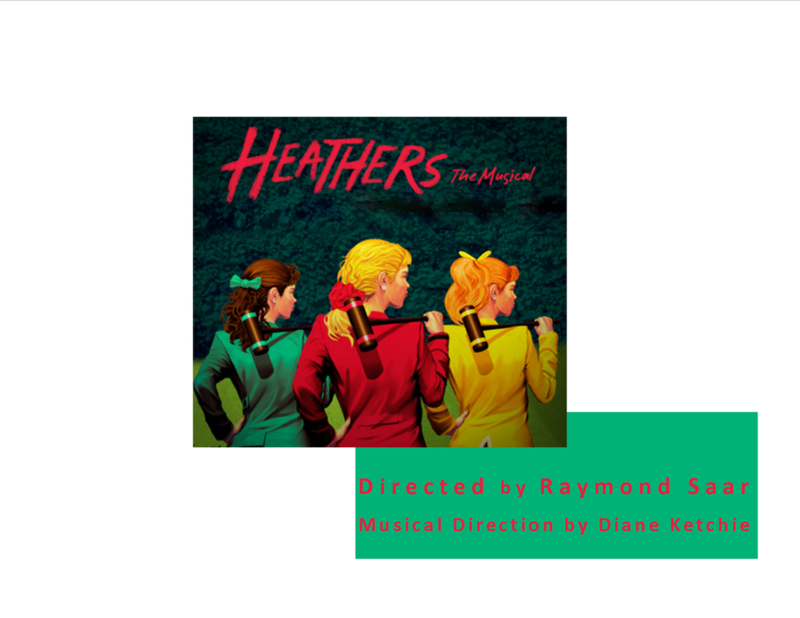 Based on the cult classic film of the same name, Heathers is the story of Veronica Sawyer, a senior at the fictional Westerberg High. Unfortunately, in addition to awesome levels of popularity, the Heathers are also cruel, choosing to mock and bully their kingdom into submission. When Veronica uses her skills as a forger to get the Heathers out of detention, she impresses their leader Heather Chandler— so much so that they agree to let her into their exclusive club. At first Veronica is thrilled—until she finds out that being one of the Heathers means bullying the same kids she used to call friends. Meanwhile, Veronica finds herself attracted to a mysterious newcomer at school named Jason Dean (JD). When an innocent drink mix-up results in the accidental poisoning of Heather Chandler, JD convinces Veronica to stage Heather’s suicide. The results are so successful that Veronica and JD, exhilarated with their newfound power, resolve to rid Westerberg of the cruelly popular elite forever.